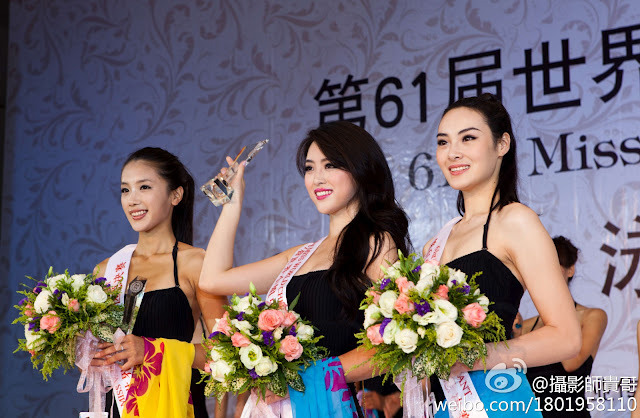 Yu Weiwei of Shaanxi won the Beach Beauty Award of Miss World China 2011. Her Hobbies/Strengths: Art, music, ocarina, piano, ethnic minority-style singing, operatic singing, drums, calligraphy, runway modeling. School: Xi’an University of Arts and Science. Statement: There’s only the unthinkable, nothing is undoable.